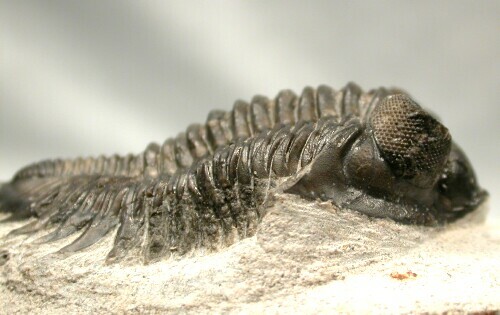 This is an elegant example of a member of the Order Phacopida, Superfamily Acastoidea with many fine details present. 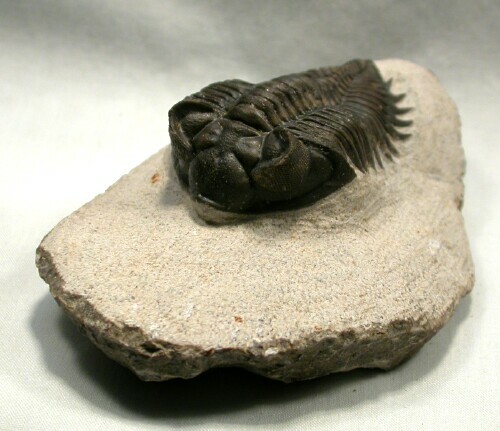 While most frequently known as Treveropyge, the actual genus is Coltraenia. 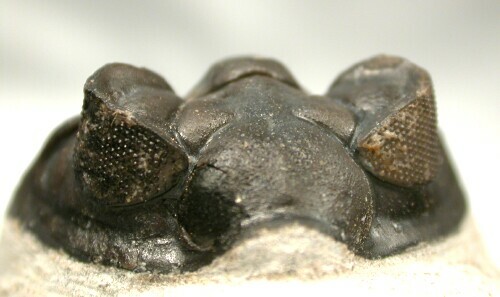 The most diagnostic features of this taxon are the high eye towers. Notice the many exceptional eye facets present on this specimen. 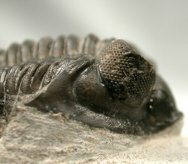 The wrap around eyes gave a good panoramic view of the trilobite's environment, allowing it to keep alert for predator and prey alike. 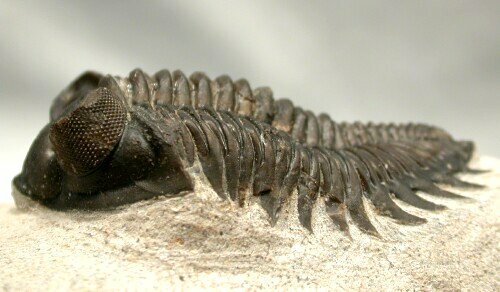 Since fish had recently evolved true jaws, any advantage a prey species could derive would place it at an advantage, or less disadvantage. 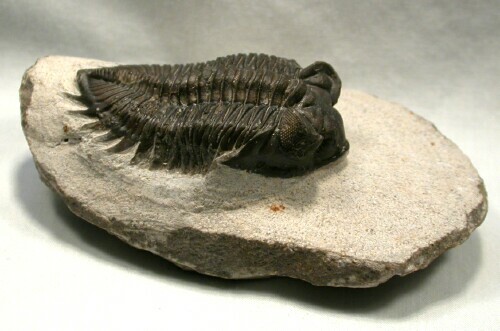 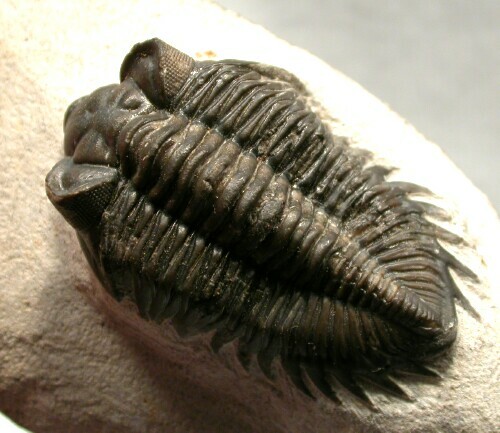 This trilobite exemplifies the evolutionary changes in the eyes of the Phacopids.